Every year, as the holiday season approaches, Lexus reminds us on an hourly basis to make it a "December to Remember". I have never given nor received a car as a holiday gift, but its hard to deny that the markets certainly gave us a year-end that most of us will not soon forget. Technically, it was the worst December in nearly 90 years. Most markets hit their highs for the year at the beginning of the 4th quarter and bounced around slightly negatively for the months of October and November. From December 3 until Christmas Eve, the S&P 500 went into freefall, declining over 15% in 14 trading days, bringing the losses for the quarter to near 20%. Small cap stocks fell even further, with losses exceeding 25%. Even after a rebound in the final week of the year, the S&P 500 was down over 13.5% for the quarter, while the Russell 2000 (small cap) retreated over 20%. Source: Bloomberg. “Infrastructure” refers to FTSE Developed Core Infrastructure 50/50 Net Tax Index. 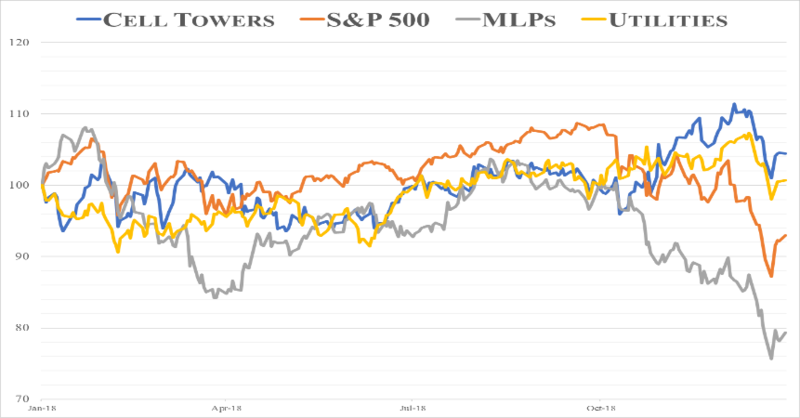 “MLPs” refers to Alerian MLP Index. “World” refers to MSCI World Index. Our message at Silkworth Capital Partners remains the same. When investors seek investments in global listed infrastructure portfolios, they are looking for global diversification, yield, and exposure to long-term secular growth trends. However, during periods of market turmoil, investors look to global infrastructure for defense. As industry veterans, we have seen our defensive portfolios weather many storms. But as a newer firm in merely its third year of existence, it is great to be able to demonstrate its ability to protect capital during difficult times. The infrastructure space was actually positive for the quarter going into the week before Christmas, before finally succumbing to market pressure. Overall, the infrastructure space was down slightly more than 3% for the 4th quarter, outpacing the S&P 500 by over 10%. The Silkworth portfolios outperformed the common infrastructure benchmarks. When investors and advisors build portfolios, it important not only to consider the expected risk and return of an investment, but the correlation to other parts of the portfolio. An allocation to global listed infrastructure would have substantially helped navigate the vicious drawdown and rough terrain of 2018 for many investors. The decade since the Global Financial Crisis has generally been strong for the economy and financial markets. It is natural to think that after such a strong period, more difficult times may lie ahead. There are certainly plenty of bullish and bearish arguments for 2019. For example, the third year of a presidential cycle tends to be very good for stock markets. The general logic is that post mid-term elections, and before the next election cycle heats up, the impact of initiatives over the first two years ripple through the economy. One rare thing that endorsers and dissenters of Trump would agree upon is that he is no ordinary President, and therefore this is probably no ordinary cycle. It might seem natural to think that low unemployment would be good for stock markets. However, after a strong run in the economy, are things more likely to get better or worse? In periods of high unemployment, things can seemingly only get better, so are much more likely to have a strong rebound. Another other bullish argument being made after this recent correction is that valuation, as determined by the forward Price/Earnings ratio, is now attractive. After all, if Price declines, the ratio looks more appealing. However, markets tend to correct in anticipation of economic and earnings revisions, and one can easily make a case that we are likely to see negative earnings revisions going forward, making the valuation argument weak. Infrastructure tends to have lower growth rates than tech, consumer discretionary, or healthcare, but it also tends to have much higher long-term visibility, and we believe risk to downward earnings revisions in the infrastructure sector are minimal. One thing remains clear - markets do not like uncertainty. It is not just the pullback in December that is concerning, but the massive day to day movements of the entire market. In general, large volatility spikes, both up and down, are not ideal for any investment portfolio. A defensive allocation to listed infrastructure may be a welcome addition to investment portfolios in 2019. To see our portfolio positioning, performance summary, or to learn more, click here. On August 14th, most of us awoke to the news of the horrible tragedy of the Morandi Bridge collapse in Genoa, Italy. One of the busiest bridges in the country, it was built in the 1960’s and was a key part of the highway that travels between northwest Italy and France. By the time rescue efforts were finished, 43 people had perished. Every citizen, politician, and corporate executive was left with more questions than answers and more than enough finger-pointing to go around. We all remember the many recent infrastructure tragedies in the United States, from the horrific I-35 bridge collapse in Minneapolis in 2007, to the San Francisco Bay Bridge connector that fell as a result of the 1989 earthquake. As our infrastructure continues to age, unfortunately, these will not be the last fatal disasters. There are over 120,000 bridges currently in operation in this country that were constructed before 1950, and over one-third of these would be considered in either Poor or Structurally Deficient condition, as defined by the Federal Highway Administration. We have written extensively in the past about the differences between the “US” and “global” methods of infrastructure management. While obviously there are plenty of exceptions, most of our toll roads, airports, and ports in the United States tend to be owned and operated by government or pseudo-government non-profit entities. Globally, assets are often run as concessions, effectively owned and operated by private corporations, either in cooperation with, or regulated by local and federal governments. The argument for government operation has always been that the lack of a profit motive will help keep costs down for the customer/citizen, while a corporation would raise prices/tolls to seek additional profit. The privatization model argues that capital will flow to the best projects, will result in a better customer experience, and that a regulator can assure that the costs to citizens will be kept under control. Anyone who spends much time in airports will tell you that they would much prefer to be stuck in Sydney or Heathrow (privately operated) than LaGuardia or St. Louis (government operated). Much like seemingly everything these days, politics is involved in all aspects of global infrastructure, from funding to regulation. The populist Five Star Movement came into power in Italy in March, partially fueled by a campaign that the country was spending too much money on replacement and maintenance of bridges and toll roads, and costs were escalating for the average Italian. Not surprisingly, after the bridge collapse, these statements were removed from their website, as they placed all blame on Autostrade per l’Italia, the private toll-road operator of the Genoa bridge. (Autostrade is a subsidiary of Atlantia SpA (Milan: ATL IM). The stock is down nearly 30% in Q3 since this tragedy.) While Autostrade carries some insurance for these type of events, ultimately fines and reconstruction costs will be large. In addition to financial penalties, the other political push was for the government to take back operatorship of all toll roads in Italy. While there have been some discussions on the topic, it seems that cooler heads will prevail and recognize that the ownership and operation of revenue-producing infrastructure is done most effectively and efficiently by the private sector. Autostrade historically has spent a higher percentage of cash flows on maintenance of assets than most other toll road operators, therefore making the case that they ignored their assets will be difficult, and likely battled in court. Source: Federal Highway Administration, 2017. Privatization debates usually center on profit motivation rather than ultimate citizen safety. As a supporter of the expansion of infrastructure privatization and public-private partnerships (PPP) in the United States, we need to be able to make sure that privately operated assets meet or exceed the highest safety standards available. While extreme political views on opposing sides are what makes headlines, the best outcome is usually somewhere in between. It is difficult to force a company to spend a specific percentage of cash flows on maintenance, as different assets have diverse needs, but globally we all need to have confidence in the safety of our travels. While there are mechanisms in place across all countries for safety and inspections, perhaps we will find the best outcomes when regulators have adequate means to enforce safety standards, while operators have true government support to build roads, bridges, and airports that meet the demands of the population. Easier said than done. Over the course of the past week, the buildup and wrath of Hurricane Florence has been the lead story in virtually every news outlet. While the damage and flooding are certainly severe, thankfully, the strength of the storm diminished materially as landfall approached. As someone who has been investing in energy and infrastructure stocks for nearly two decades, I often get asked how portfolio managers and traders ensure (and insure) that their portfolios can weather the storm. Every portfolio manager approaches the issues differently. Unlike an earthquake or tornado, we generally have advanced warnings of upcoming hurricanes. Some people will try to make quick returns buying stocks in generator companies, homebuilders, or home improvement companies. Others will try to sell insurance companies, or energy/utility companies that own assets in the path of the storm. Until recently when onshore natural gas production surged, when a storm would approach the Gulf of Mexico, prices of natural gas would rise on the expectation that up to 1/3 of our production could be shut in temporarily or permanently. Traders would also speculate about whether storage facilities or refineries would be damaged by the storm. In general, we have found most of these trading ideas incredibly short-lived, and not meaningfully profitable. The only real exception that we recall was that the multiple week power outages caused by Tropical Storm Sandy provided a long-lasting tailwind to the home generator industry. While widespread power outages and downed power lines are an expectation of a large storm, the long-term impact on utility stocks tends to not be material. In the case of Florence, the company whose assets were most at risk was Duke Energy (DUK - NYSE), the primary utility provider to the North Carolina coast. The stock was down a bit to start last week, but then rebounded when Florence was downgraded from a Category 5 to a Category 2 and ultimately Cat 1 Storm. Given the long-term focus of our portfolio holdings, there were no portfolio adjustments that were warranted by Florence, and we certainly hope that all the local residents will show as much resiliency as the local stock prices. Last month, Domino’s Pizza announced a “Paving for Pizza” promotion, where you can enter your town into a lottery to get pothole repairs performed by the well-known pizza chain. This is not only a creative marketing idea, but it reminds us that basic road maintenance is one of the most overlooked areas of infrastructure efficiency. In our first quarter investor letter, we wrote about the evolution of the electrical grid in the United States, and how it gave birth to the regulated utility business model that still largely remains in place today. We also highlighted that most of the major power outages and issues with the electrical grid have stemmed from lack of basic maintenance like tree trimming. When we think about infrastructure investment, whether from private parties or governments, we usually think of the potential of new innovations, like high speed rail, shiny new bridges and toll roads, and high-speed data networks. Larry Summers, Harvard economics professor and former Secretary of the Treasury states, “It is inconceivable that fixing [poorly maintained infrastructure] is not an investment with an extraordinarily high rate of return … Prevention is cheaper than the cure. Waiting for a road bridge to collapse is much more expensive than buttressing the bridge before it collapses. Deferred maintenance is every bit as much a debt burden on the next generation.”* Increases in traffic due to poor road conditions equate to billions of dollars of economic loss on an annual basis, and corporate maintenance capital expenditures are always a focus of our investment process. Increasing transportation efficiency is not just about potholes. Re-fueling of our internal combustion vehicles is a relatively streamlined and efficient process. However, as we have written about extensively, re-charging electric vehicles is one of the key unresolved impediments to mass adoption. Qualcomm expects that in the next 18 months to two years, wireless charging of electric vehicles (EV) will not only be widely available, but will operate at a cost no more than conductive (wired) charging. ** This technology will make owning an EV much easier, as it takes away the need to plug in your vehicle when you get home. One could even argue that without ever having to worry about plugging in or visiting a gas station, owning an EV would be easier than a gasoline-powered vehicle. In addition, wireless charging stations could be installed in grocery stores, office buildings, and on streets. I have been writing and talking about simplification of the MLP and energy pipeline business model for some time. It has been nearly two years since my first comments in Barron's on the subject, but the trend had started even earlier. There are a few different basic models for building and operating pipelines, but the most common model is pretty straightforward. A pipeline operator determines a need to help transport hydrocarbon (oil, natural gas, propane, etc) from point A to point B. Once the operator identifies a customer and a supplier, it will secure a long-term (usually 10-year) contract which will lock in a straightforward and solid rate of return, and the pipeline will get built. The combination of greedy investment bankers, greedy investors, and greedy management teams led to the creation of complex GP/LP (General Partner/Limited Partner) MLPs (Master Limited Partnerships) with payouts dictated by IDRs (Incentive Distribution Rights), and other fancy acronyms, that ultimately made investing in the pipeline and energy midstream space much more about understanding financial engineering than industry fundamentals. The road to simplification of the business model has taken much longer than most (including myself) thought it would, but we are almost to the finish line. The combination of rising cost of capital, lack of capital markets opportunities and high leverage, coupled with a decline in commodity prices (now recovering), and lastly and most recently, changes in corporate tax structure and new regulations from the FERC (Federal Energy Regulatory Commission), may have finally put the nail in the coffin for an antiquated financial model that had been applied to a good business for far too long. In recent weeks we saw three more announcements of corporate simplification. Three C-Corps (WMB, ENB, LNG) announced their intentions to consolidate and eliminate five of their public MLP subsidiaries. These were not the first, and will not be the last, but we feel comfortable saying the tide has finally shifted for good. As investors, we should be excited about the ability to see simplified corporate structures with improved corporate governance and shareholder rights. In addition, not having to worry about the whims of the FERC or K-1's at tax time will be a burden off of investors plates. Not everything is of course perfect. Investors lose the tax-free return of capital component of dividends, and more C-Corps will likely mean more index inclusion, increased correlation to other sectors and the stock market in general. All of this is a long-winded way of saying that the road has been long, with lots of twists and turns and potholes, but we are closer than ever to being able to focus on fundamentals, and it couldn’t come at a better time. In particular, in the Permian Basin of West Texas, especially with higher oil prices, there are not enough pipes to transport the increased oil production (or associated gas) from the basin to the refineries, and as a result, Permian oil trades at more than a $12 discount to WTI Cushing prices. The growth of the Permian is not new, but those that can best figure out how to alleviate the transportation bottlenecks out of the Basin are going to be the winners of the next few years. A few weeks ago, the temperature inside my house dipped into the 40s as we entered our fourth day without power. From the window, I was able to see the three large trees that had fallen in my backyard. Under the remaining bit of power on my Kindle, I finished reading The Grid: The Fraying Wires Between Americans and Our Energy Future by Gretchen Bakke. While the lights were off, the book was able to illuminate the history and evolution of our electrical grid in the United States. Written from the perspective of a cultural anthropologist, the reader is taken on a journey from the first local power stations to the regulated monopolies that continue to exist today. Obviously, no assessment of the modern grid is complete without evaluation of the impact of renewables, and how our power generation looks and acts differently than it has historically. The top cause of power outages in U.S. in the 21st century is overgrown trees. While efficiency and technology play a huge role in the improvement of our electrical system, the old-fashioned saw may be the most important tool for network reliability. The largest blackout in our history (August 14, 2003), which was the third-largest ever in the world, was caused by overgrown trees and the failure of a computer system to detect the fault. Eight states, (parts of Canada), 93,000 square miles, and 50 million people lost power for two days, resulting in $6 Bn in lost business revenue. America has the highest number of outage minutes of any developed nation, over 6 times as many as Italy, and over 20 times as high as Korea, Germany, and Japan. Most Americans get their power delivered from a public utility company that typically functions as a regulated monopoly. The Grid describes how, at first, when electricity began to spread, competing companies were each responsible for their own wires, often hung right next to competing power suppliers. Companies and regulators recognized it made little sense to duplicate infrastructure, and by allowing each entity to serve a local area, electricity could be delivered most cost effectively. Public utility commissions (PUCs), then and now, set the profit margins (known as Allowed Return on Equity) for each of the local providers. In the past few decades, there has been a large-scale evolution in the utility business, as many states have separated power generation from the transmission and distribution of electricity. Beyond this deregulation, due to improvements in efficiency, US consumption peaked about ten years ago and is predicted to remain flat until 2040. Perhaps most importantly, as we all know, we are in the midst of a massive shift away from traditional fossil fuel generation to renewable energy. The biggest challenge our current grid faces is adapting to the intermittent power supply that comes at the hands of wind and solar. When a nuclear, coal, or natural gas plant runs, it generates a level amount of power at all points during the day. Solar generation naturally peaks in midday, and wind generation tends to be strongest at night. Combine these factors with a consumption curve that peaks in the early evening, and even with improvement in battery storage technology, it is clear there are new challenges that our utilities face in navigating the 21st century grid. The final major issue utilities face when investing over a very long-term planning horizon is that expectations of electric vehicle penetration continue to surprise to the upside. The graph below shows the change in assumptions over the past two years. While it is not surprising that Bloomberg New Energy Finance would be more optimistic than Exxon, BP, OPEC, or the IEA, all estimates continue to be aggressively revised upward. Our personal beliefs are that massive widespread adoption of electric vehicles may take a bit longer than many expect. However, like most other modern technologies, once it inflects, we believe its rapid acceleration will outpace even the most optimistic forecasts. A large portion of our research time is spent trying to identify which companies will make the most of the new opportunities on the grid. There are many important reasons why infrastructure should be a key part of investment portfolios for individuals and institutions. One key aspect is that the long-term visibility of cash flows should create a lower volatility stock portfolio with a meaningful dividend stream that should outperform the broader markets in times of turmoil. Our usually sleepy sectors have had surprising market moving events to open the year, and not in a good way. There has been little progress on the federal government infrastructure spending proposal. In addition, even though valuations are attractive, we know that utilities have done poorly after the new tax plan announcement, coupled with an uptick in interest rates. A few weeks ago, President Trump announced new steel tariffs. Ultimately, a higher cost of steel for pipelines raises the price of oil and gas for the end customer, as higher transportation costs get passed through. This has been a bit of a headwind for pipeline companies, as fear of higher costs begets fears of lower growth. Talks of tariffs and concerns over NAFTA has also hurt Canadian securities. Last week, the Federal Energy Regulatory Commission (FERC) made a ruling that prevents some pipeline companies, specifically Master Limited Partnerships (MLPs), from using an important tax allowance. Stated simply, interstate pipelines charge a "just and reasonable" rate that includes an income tax consideration. That tax provision is likely to be removed, which will detract from earnings as well as future growth. Because these tax exemptions are not an issue in traditional C-Corps, we believe the near-term negatives have materially positive implications for pipelines. Most likely we will see more simplified corporate structures that look like standard companies, which will have a strong impact on investor transparency and corporate governance. While we have mentioned previously that the lack of volatility and steady climb of 2017 was an anomaly, we hope the flood of difficult headlines and accompanying surge in volatility is also an outlier. As always, please email or call with any follow-up questions. With the recent market volatility, will the President's Infrastructure Plan be the spark? The first six weeks of 2018 have been tough for the markets, especially for infrastructure stocks. Let's answer a few questions we have received from investors over the past weeks. Why has infrastructure, and specifically global utilities, underperformed the broad markets? Historically, infrastructure sectors tend to be defensive, and we assume they will outperform during volatile times. Over the past two months however, utilities have underperformed the S&P 500 by around 16%. This massive performance spread is driven by two key factors: first, the sector does not benefit materially from the new tax plan. In fact, the tax benefit will be passed along to customers. Longer term, this actually provides a tailwind to the space as regulators will be more generous in approving capital expenditures. However, in the short-term, traders are allocating capital to the sectors that are the largest near-term beneficiaries. Second, while a rise in short-term interest rates has limited impact on utilities, the rise in longer-term bond yields have given fixed income investors slightly more attractive opportunities. We position our portfolio with the expectation that dividend growth stocks will outperform those stocks with limited growth. Currently, the sector has corrected to the point where valuation relative to the market is attractive, with a compelling yield profile. If the business models are so defensive, why are the stocks experiencing such volatility? We were all spoiled by the market of 2017. It was one of the lowest volatility periods on record, and the entire year passed without even a 3% market correction. Stock prices are always going to be more volatile than their underlying businesses. Much like the lack of volatility in 2017 was extreme, we believe the recent market volatility is excessive as well. The infrastructure space generally has about 2/3 the volatility profile of the S&P 500, and we think that is a reasonable assumption going forward. The key to successfully managing portfolios over long time horizons is to take advantage of these dislocations by adding to core positions on weakness, and trimming core positions on outsized strength. Will the President's Infrastructure Plan be the spark for the sector, and is now the time to buy? At first glance, even in a budget that is marked by a significant deficit, it does not appear that this new plan provides enough pure stimulus for infrastructure, instead relying more on state and local funding. However, it does make a clear statement about streamlining the regulatory process, which could legitimately help get shovels in the ground more rapidly. In addition, it could be a real impetus for more Public-Private Partnerships (PPPs), which would benefit infrastructure companies as well as our country. When analyzing incremental investment in infrastructure equity portfolios, the underlying businesses are as fundamentally sound as ever, and the massive tailwind of capital that is needed globally continues to grow. In addition, the 2018 expected yield of the portfolio for the next year is nearly 4.8%, so the secure income component of the portfolio far surpasses broad equity or fixed income markets, which is why investors (including ourselves) are currently looking to add exposure. On a more humorous note, from Ritholtz Wealth Management, here are 35 steps to a market bottom. "It's Difficult to Make Predictions, Especially About the Future"
In a quote that is commonly attributed to Yogi Berra, we are reminded how hard it is to make accurate forecasts, whether that be for sports or the stock market. However, I do believe an important part of the research and investment process is to articulate and document all decisions, so when we look back we can understand which points in our analysis were sound, and also understand where we went wrong. In our annual letter from year-end 2016, we made it clear that we did not have a high conviction market call for 2017, except to say "it is not going to be easy, and expect the unexpected." After a massive bull run on equities globally, we did not think the ultra-low volatility rally would continue at the same pace, without any meaningful corrections along the way. Obviously, our biggest forecast could not have been more wrong. The broader markets continued their ascent, and the investment returns for global stock markets, including infrastructure investors, were very steady and materially positive. Even with a slight pullback in September and December, the infrastructure space generated positive returns in all four quarters of the year and ten out of twelve months. When watching the rapid ascent of the markets, it can be difficult to manage a defensively oriented, yield-focused product. However, investors come to us looking for long-term, low volatility portfolios that generate a significant amount of dividend income. An investor with a $1 million position in the Silkworth Global Listed Infrastructure Fund would have generated nearly $50,000 in income in 2017, which is more than double what would have been earned by owning the S&P 500. Looking back in more detail to our forecasts for 2017, our biggest mistake was our cautiousness in Europe. We were concerned that the market calm that had been created by the ECB would not last due to political uncertainty, and we focused our positions in very defensive regulated electric and natural gas distribution companies. While these positions did well, we missed out on the upside in some of the European transportation stocks. Our positive view on cell towers was exceptionally profitable, with our two positions generating total returns well above 30%. The sector continues to have significant tailwinds for 2018, and we maintain our constructive outlook. In our Q3 letter, we discussed what we believe will be the three key issues that will impact the speed of adoption of electric vehicles: range, costs, and re-charging. We believe that range and costs will continue to improve rapidly, and we highlighted that we believe re-charging to the biggest issue facing the industry. I have always thought that the "propane tank" model of re-charging electric vehicles had a tremendous amount of potential. Drivers could essentially pull into a station and swap out their battery for a new one, and be back on the road in minutes. The obvious issue is of course the weight and accessability of the battery. But even that seems to be changing. China's electric vehicle startup company, Nio, just brought its ES8 model to market. It is the first car of its kind to allow owners to have their batteries swapped in three minutes. It is still too early to figure out whether this will be able to catch on with the larger vehicles we are more likely to use in the US, but it is an interesting start. Read more here. This past Monday, the Virginia Department of Transportation, in partnership with a private toll road operator, opened up a 10-mile stretch of I-66 that goes into Washington for single passengers during rush hour for the first time in decades. Previously, this stretch of road was only accessible to carpools, buses, and motorcycles during morning inbound and evening outbound rush hour. Not surprisingly, the new dynamic pricing algorithm created price spikes as traffic entered into the tollway Monday morning, peaking at $34.50 one way, before a $40 peak on Tuesday. These price surges angered customers and politicians alike, calling for price caps and a shutdown of the entire program. However, much like the pricing system was intended, average speed on the road exceeded 50 mph. Let us remember that a carpooler still gets to ride the highway for free. The only person paying the toll is a single rider, who as of last week was not even allowed on this stretch of road. So why should people be angry? I think we can answer that question by looking deeper at the data. Last week, the average speed was 34 mph on this stretch versus over 50 mph this week. But this week, single drivers AND carpoolers have access to this road, and carpoolers still don’t have to pay a toll. So shouldn’t traffic volume increase and speed decrease? Is it possible that many of the loudest voices complaining were single riders who were previously violating HOV rules, and are now forced to pay to ride in the carpool lane? With Americans driving less, and vehicles becoming more fuel efficient or not using gasoline at all, many believe that it is more equitable to come up with user-based fees like tolls, rather than depend on gasoline taxes for road infrastructure. Like it or not, governments allowing private partners to improve our roads will allow expenditures to fulfill other fiscal needs. So we should all get used to it. Change may be coming to the US airport business model. In recognition that government does not always have the resources to upgrade and maintain our local airports, many municipalities are recognizing that it makes economic sense to pursue privatization. The result is a visible revenue stream for the local community as well as an enhanced airport experience for the residents. Recently, Westchester County Airport in White Plains, NY announced that Macquarie Infrastructure Corp (MIC: NYSE) was the successful bidder to renovate and operate the airport on a 40 year concession. Hopefully the newly-elected county executive will remain committed to improving the local airport for its residents. Last week, Vinci SA, a large French company that operates 36 airports in 7 countries, announced that they consider the US to be the most promising market for airport privatization, and the US is a material part of their long-term growth plans. Privatization is a rational choice for municipalities to optimize their government spending and manage growth effectively, while offering their constituents an enhanced travel experience. Currently, Nashville, St. Louis, Sanford, FL, and others are evaluating partnerships. We will all be hearing much more about this trend in the coming years. Happy Thanksgiving and Happy Travels! Source: Vinci SA corporate presentation, 11/15/17. Does it have to be so political? The amount of investment conferences I have attended in my career number in the hundreds, but I remember one of them like it was yesterday. It was the first (and only) time I saw someone throw a punch during an argument over a stock. After the chaos had subsided, many of us bystanders were trying to figure out what happened and why. In the end, both parties actually shared the SAME view on the stock, they were arguing over who had the best REASON. Sometimes I feel like a broken record when people ask me about impact of government incentives and regulation on the growth of renewables. I make the same case time after time. Regulators can sometimes impact the pace of development, but in the longer term, economics will rule the day. Everyone seems to have a view on the ifs and hows of climate change, often falling along party lines. But in the end, it matters much less why you invest in renewables, but rather that you recognize the investment makes sense. What cannot be disputed is that renewables become more cost competitive by the day, and that trend will only continue. The Department of Energy's National Renewable Energy Laboratory estimates that wind energy costs could fall by an additional 50% from current levels by 2030. In addition, energy deployments in the US could reach a level where wind supplies 20% of electricity by 2030 and nearly half of electricity by 2050, yielding a cumulative cost savings of $150 bn in the next 30 years. Here is a great article about an unapologetic, Republican, Trump-supporting mayor in Texas who has shifted his city entirely to alternative energy sources. His actions have nothing to do with a view on climate change. As one of my favorite investment writers, Patrick Watson, stated, "yes, this is still oil country, but we Texans know money when we see it." I cannot remember the last client meeting or call where I was not asked about electric vehicles and the overall implications for our country's decaying infrastructure. Like many I know, I did put down the $1,000 deposit for the Tesla Model 3, and time will tell if they get off the assembly line in a timely manner. But after getting to sit in a Tesla Model X with my kids a few weeks ago and see the winged doors elevate, I can definitely say there is nothing cooler in the minds of 9, 11, or 40-year-old boys. Based on our own proprietary research as well the work of many others, we are fully convinced that the way we engage with our vehicles as well as traditional internal combustion engines will be dramatically different in twenty years. But the road to get there will be winding, with many periods of stop and go traffic, and the investment implications are massive. In 1980, AT&T/Bell Labs (the inventors of the cell phone) hired McKinsey & Company to forecast cell phone penetration in the US in 2000. Their prediction of 900,000 subscribers was only off by about 110 million, and by 2011 the global market had surpassed 5 billion. So relying on so-called experts is probably not the best way to figure out the answer. Can the travel range of electric vehicles compete with traditional vehicles? Can electric vehicles compete on cost? How do we re-charge in an efficient manner? Answers to these questions continue to evolve, but considerable progress is being made on the first two. The newest vehicles introduced to the market have a travel range of over 300 miles on a single charge. This range allows most people to fulfill their daily travel needs. How do things change if we integrate distributed generation (rooftop solar) and/or battery storage into the mix? Good question. We have also not even begun to discuss how to effectively support the massive amount of refueling needs at the places we used to call "gas stations". Lack of access to charging constitutes the most meaningful barrier to significant EV adoption in the long term. I do not know the answers to most of these questions, and I really hope there are people smarter than I to solve them. But the most important conclusion is that all of these possible solutions entail significant capital investments for our utility companies. In California and other states, local utilities are already working with the state regulators to figure out how to provide charging stations at malls, office buildings, and municipal lots to enable consumers to charge at any point in time. Allowing utilities to earn a return on making the grid "smarter" will enable them to manage load better, incorporate newer technologies including more renewables, and meet the new increased power demands from customers. The companies most effectively moving in this direction globally will most likely have a place in our portfolios. Lastly, whether it is increased efficiency of traditional vehicles or electric vehicle penetration, we do not expect demand growth for vehicular fuels in the coming years to look like that of the past. To see a performance summary and learn more, click here. We have always been big believers in cell towers, as they are the best way to gain exposure to the massive growth in wireless data. A tremendously robust business model, towers have strong, recurring long-term cash flows with embedded contractual escalators as well as low maintenance capital expenditures. Perhaps the best feature of towers investments are the economies of scale involved with adding tenants. As seen below, the first tenant covers the costs of the tower, but does not generate significant returns. However, when additional tenants arrive, they bring massive incremental margins, which leads to significant return on investment. There are currently four major wireless operators in the US (Verizon, AT&T, T-Mobile, and Sprint). Many expect a merger between T-Mobile and Sprint. Understanding tower economics, it is natural for the tower investor to be concerned. The three major tower companies have between 4 and 8% of revenue at risk over the next five years if Sprint and T-Mobile do merge. However, there is still a massive tailwind of investment for the tower space. AT&T and FirstNet are building out a network of nationwide high-speed data and voice for America's first responders, a move to 5G is underway, and unlimited data plans are on a rapid ascent. We do not believe the demand for data or the need for cell towers is slowing down anytime soon. As the summer draws to a close and many people take their final vacations, I have been thinking about the long-term global investment opportunity in airports. To most of us in the US, the concept of a publicly listed airport is literally a foreign concept, as there are no major airports in the US that are owned/operated by publicly traded companies. However, many of the world's largest airports outside of the US are operated by public companies, including Heathrow (London), de Gaulle (Paris), Beijing, Frankfurt, and Sydney. We will write about this in greater detail at a later date, but an airport has a few key revenue sources: gate and landing fees, retail, parking, and hotels. According to the World Economic Forum, the number of international tourists have grown from 25 million in the 1950s to 1.2 billion last year, and as the global middle class expands by 3 billion people in the next 15 years, the demand for air travel should continue to surge. Only 4% of people in China own a passport, and that percentage may triple in the next decade. Global airline passenger traffic is projected to grow over 7% in 2017, led by Asia-Pacific, Latin America, Middle East, and Africa. (IATA, June 2017) Using World Bank statistics, the average American takes 2.5 flights per year, whereas the average Mexican travels less than one half of a flight per year. No one expects these numbers to converge, but as the Mexican economy continues to grow, this number should continue to generate massive growth in air travel. The great part about the business model of airports is the tremendous earnings leverage to increasing passenger traffic. Costs do not increase at the same rate of revenue, and every increased passenger through the airport brings incremental gate fees, retail, hotel, and parking spending, which floats directly to the bottom line. It is because of these factors that we expect global airports to continue to be a strong investment opportunity for the foreseeable future. It is impossible not to get caught up in the constant flow of news out of the White House. But when investing, it is always a useful reminder that if you want to have long-term success, you should focus on fundamentals and not on the political rhetoric of the day. Let's think about countries. In 2017, would you have ever guessed that Mexico would be up over 30% and Russia would be down 10%? I will fully admit that I got caught up in this one, and have avoided Mexican investments this year. What about the politics of climate change? Year-to-date, TAN, a solar-focused ETF is up over 25%, while the XLE, the most common energy ETF, is down 15%. We have written many times that the trend toward renewables will be driven by economics much more than government rhetoric or regulation. On a daily basis, we see the impact that technology has on our daily life. Within the infrastructure space, we see it constantly, manifested in increased wireless speeds, increased drilling efficiencies for oil and gas, and in the rapid descent in the costs of renewables. While most of us use Waze or Google Maps to optimize our driving, there is still tremendous opportunity to use modern technology to improve network efficiency and transportation infrastructure. While it has been more common outside of the US, we have recently seen a meaningful increase in dynamic pricing algorithms applied to toll roads in our country. A favorite example is the 95/495 toll lanes outside of Washington, DC. These express/HOV lanes have a differential tolling algorithm whose prices will adapt depending on traffic conditions of the adjacent free lanes. While some of us may complain about the price we paid to drive in the so-called "Lexus Lanes", the fact is that price is a great way to regulate traffic flow. There are many more opportunities to use price and technology to improve the efficiency of our traffic patterns. These opportunities may help improve our transportation infrastructure while saving on some of the massive capital outlays. While I am not convinced on every concept proposed in this recent Wall Street Journal article, it is certainly thought provoking. "How would the system work? The price of a given route would vary in real time depending on current demand and supply—increasing, for instance, if a lane was closed for repairs or an accident. In uncongested times and locations, motorists would pay only a nominal fee, to recover operating and maintenance costs. The costs would apply to all roads, not just those with tolls, and would likely be collected through a monthly credit-card charge. Drivers would receive the price information in real time … to make their driving choice. It’s similar to how Google Maps presents people with real-time driving information, and then they decide how to use it. Drivers could lock in that low price for their trip or take their chances of paying more or less along the way, depending on how congestion turns out to be. So, if they must be at an urgent meeting, then they would tell the system to take the fastest route regardless of cost, based on fluctuating conditions along the way. If they weren’t in a rush, they might tell it to choose the lowest-cost route regardless of how long it takes. Real-time road prices would also allow the motorist to properly schedule travel. If they discovered after several days that waiting 15 minutes to leave for work would save money, then a few minutes of properly scheduled work at home may pay handsome dividends, both to the driver and to others who want a less-crowded roadway." When asked to endorse a political candidate in North Carolina, Michael Jordan famously said, "Republicans buy sneakers, too." Most people that know me know my political leanings, but my job as an investment professional is to focus on any impacts of decisions made in Washington, and to construct portfolios accordingly, rather than express politics in client portfolios. Realistically, I like to think that Republicans and Democrats both need infrastructure portfolios. When President Trump withdrew the participation of the United States from the Paris Climate Agreement last week, the first questions I received from investors were whether there were meaningful implications to our portfolios, specifically pipelines and utilities. We can debate the pros and cons of the agreement itself, as well as the politics of our withdrawal, but the bottom line is that the snowball is rolling downhill for lower carbon emissions and renewable energy, even as we debate as to whether that snowball is melting as it rolls. The cost to build and produce solar and wind power is down 60-80% since 2010, and technology only looks to continue to improve those costs in the coming years. (Lazard - Levelized Cost of Energy, Version 10.0). In addition, 20 states and D.C. have adopted their own greenhouse gas emission targets, some of which exceed the standards of the Paris Agreement. Lastly, investors and big business are more proactive than they have ever been about environmental impact, and that trend will only continue. When investors, business, technology, and local regulators all are on the same side of a trend, it is going to be impossible to reverse course. Much has been made of the irony that the Kentucky Coal Mining Museum in Benham, Kentucky announced it would install solar panels on its rooftop in an effort to save on electricity costs. In reality, a headline like this should not be all that surprising. As defenders of free markets, we will always believe that capital will be allocated in the most efficient manner possible. Regardless of headlines touting bringing jobs back to the coal industry, the reality is actually quite different. For example, American Electric Power (NYSE: AEP), insists that the eventual fate of the Clean Power Plan will not have a meaningful impact on long term planning. Currently, 47% of AEP’s electricity is coal-fired vs. 71% in 2005. Over the next three years, the company plans to invest ~$1 Bn in new wind and solar generation and $3 Bn in new transmission lines to move that electricity. The costs of generation from renewables continues its rapid descent, and the number of jobs created by this massive energy transformation continues to grow rapidly. Currently, the solar business is employing twice as many people as coal, and in 2016, solar ranked as the top source of new electric generation capacity for the first time. The massive resource transformation to renewables in the coming years and decades is not simply a feel-good story about carbon emissions. The alternative energy space is good business as well. It is very rare to see an investment opportunity where economic interests line up so well with environmental impact for citizens around the globe. This is obviously a key theme in our investment portfolios. For a complete copy of our quarterly letter, email us. We are constantly asked questions about not only what the true impact of renewables will be, but how much the current administration can and will have an impact on its progression. We will have more to say on the topic in our upcoming quarterly update. There were many great charts worth looking at in the following Bloomberg article, but the clear conclusion is that coal is not going to make a dramatic comeback, and alternative energy growth is real and here to stay. "Clean energy installations broke new records worldwide in 2016, and wind and solar are seeing twice as much funding as fossil fuels, according to new data released Tuesday by Bloomberg New Energy Finance (BNEF). That’s largely because prices continue to fall. Solar power, for the first time, is becoming the cheapest form of new electricity in the world." The American Society of Civil Engineers issued their 2017 Infrastructure Report Card for the United States. Unfortunately, the grades for 2017 do not differ much from the grades in the most recent 2013 report, D+. While this is incredibly disappointing, it hopefully will help all Americans recognize that addressing our infrastructure must be on the forefront of all of our minds, and that the answer is not going to be found in any single partisan answer. We will need money from the government, both local and federal, private equity, and public equity players if we want to turn the corner. When speaking with investors, the macro investment theme of the gravitation away from coal and oil to natural gas and renewables is a common topic. This trend is driven both by environmental concerns AND economics, and this theme permeates all of our investment sectors. Utilities are rapidly transitioning their fuel supply and natural gas pipeline buildout continues its rapid growth. Kinder Morgan shared a very informative slide at their Analyst Day last week that strongly demonstrates that we have been making real progress in our transition to natural gas and renewables: not just in terms of energy supply but in carbon emissions as well. Source: Kinder Morgan, EIA, Monthly Energy Review, December 2016. Between 1993 and 2015, the US population grew by over 23%, from 260 million to 321 million people. During that time, our power generation increased by over 27%, while our power sector CO2 emissions actually went DOWN. Here's to natural gas and renewables! Let us all hope this powerful trend continues. Today we released our year end letter. With many prognosticators expecting the Trump rally to continue, we take another approach, believing that it is going to be a bumpy ride, and acknowledging that really do not know. Just like most investment strategists thought that China was collapsing and the markets would continue to fall apart in early 2015, the experts often get it wrong, and overreact to short-term events. Click here to request a copy of the letter. There are many investors that are challenged by the financial complexity of MLPs. I have always argued that we should focus on the underlying pipelines and associated cash flows to drive the selection of the best investment opportunities. For a variety of reasons, the business models are becoming more simplified, and many more companies are eliminating burdensome incentive distribution rights (IDR) structures. Minivan or Maserati? Ford or Ferrari? With my final blog posting of the year, I thought I would end on a lighthearted note. I read an article last week on Bloomberg entitled "When Your Hedge Fund Manager Buys a Ferrari, Find a New Manager." While I am sure most will not find it surprising, a new piece of academic research shows a link between sports car owners and volatile returns. In addition, managers that drive sports cars are more likely to terminate and report fraud. "Minivan owners in particular run funds that tend to take on far less risk and exhibit lower volatility than sports-car driving managers." I am proud to say that while most don’t find it cool, nothing makes me happier than cruising down the highway in my Honda Odyssey minivan loaded up with kids, cats, bikes, and kayaks. Thanks to everyone for their support as we get Silkworth Capital off the ground. I am looking forward to a great and prosperous 2017. Last week I attended the CFA Society of Philadelphia High Net Worth and Family Wealth Conference. It was an interesting day, with topics ranging from hedge funds, generational planning, China, direct investing, and of course, infrastructure investing. The infrastructure panel focus discussed key methods of funding a spending ramp, as well as the best ways for high net worth individuals to capitalize on the space. While municipal bonds will always be needed to fund non-revenue projects like local streets, the Trump administration is expected to push for increased Public-Private Partnerships (PPPs). However, the big opportunity lies in how the government chooses to structure these PPPs. I have been an advocate of this structure for many years, as it allows the government to provide essential services to the public, at little or no cost to the taxpayer. The key is finding the right balance between margin for the company and benefit to the state. A significant area of growth in recent years has been in social infrastructure, like college dorms. Private investors fund the construction and operation of campus dorms, and the ongoing revenue stream flows back to the partners. This enables the university to provide a basic service (maybe even at better quality) at no cost to the university. Most importantly, it enables the university to use its scarce pool of capital for other projects that hopefully further academics. One question was asked about what is the best way for the individuals to invest in a diversified group of projects in this space? While there are many illiquid, high-fee, private deals that one can invest, we believe that the most liquid and cost-effective way to invest in a broad array of infrastructure projects is via a listed infrastructure portfolio. Can all of these projects get accomplished in a timely manner? While I certainly don’t agree with all facets of this article, this upcoming proposal from Senator Dan Sullivan is certainly worth thinking about. So what does this all mean for infrastructure investing? The surprising news on Tuesday that Donald Trump will be the next President caught most people off guard, even many of his supporters. There are many better places to read election analysis, but maybe I can help decipher what this means for the financial markets. My first piece of advice is do not panic or make rash decisions. Trying to assume that we know what market reactions will be often leads us astray. For example, most people assume the stock market outperforms under Republican presidents, but that is not actually true. So let's not jump to conclusions on anything. As I have said many times, the one word that kept coming up during the election was INFRASTRUCTURE. (Almost as much as email, tic-tac, or wall.) Donald Trump has promised an increase in infrastructure spending. We will see if he delivers. However, in order to understand the implications for listed infrastructure portfolios, it is better to analyze the individual sectors before drawing any major conclusions. Energy - One would expect that a less stringent regulatory environment for pipeline approvals should be supportive for energy infrastructure companies. However, it is most important to remember that economics are the key driver of oil and gas drilling, production, and transportation. It is unclear how policy will impact natural gas exports to Mexico, which continue to be a huge growth area for energy infrastructure. I would not expect changes in drilling on federal lands to be materially impactful. Transportation - An increase in public-private partnerships (PPPs) could have a positive impact on public toll road operators if the government helps accelerate projects. If we do see restrictions on global trade (which I believe to be unlikely), that could be a headwind for airports, ports, and rail. Regulated Utilities - This is perhaps the trickiest of all the sectors to decipher. On the one hand, it is incredibly domestic, with much of the regulation coming at the state level. On the other hand, it is the most sensitive sector to interest rates, and much of the long-term growth trajectory in renewables has been buoyed by federal government policy. There is a back-of-the-envelope rule in the utility space that a 10 basis point (0.10%) move in the 10-Year yield will move utility stocks by 2-2.5%. If you assume that lower taxes accompanied by higher spending will put upward pressure on yields, that would be a negative for the space (which we have seen this week). In addition, if we see backtracking on the CPP (Clean Power Plan), that could impact the growth trajectory of corporate spending and earnings once we get beyond the next few years. Barclays estimates there will be $145 Bn of renewables spending between 2018 and 2030. While this is of course not at risk in its entirety, the overall impact of potential new regulation remains unclear. We should not forget that power generation from renewables is cost competitive with fossil fuels, so in the end, the best businesses still win. So should we move to Canada? In a word … maybe. I cannot tell anyone whether to relocate, but I can tell you that Canadian utilities traditionally trade at over a 15% valuation premium as compared to their neighbors to the south. Currently, valuations are roughly in line with US utilities. So if you are concerned about rising US yields and an uncertain regulatory environment, it may be worth a look at Canada. At the end of the day, many feel like everything changed this week. To some that brings optimism and to some that brings fear. But the long-term tailwinds for investing in listed infrastructure remain the same. You have multiple sectors that have significant capital needs globally over the coming decades. These businesses provide essential services, have strong cash flow visibility, inflation protection, and pay healthy dividends. Maybe not all that much has changed. If I drive on the bridge to nowhere, do I have to pay a toll? While it has been a very contentious election season, there is one topic that the two candidates do agree - our country needs to invest more in its infrastructure. One of the questions I get asked most often from potential investors is whether there are the benefits of private capital investing in infrastructure projects versus funding and operation provided by governments. The question is very rational, as the government has a significantly greater ability to issue debt, and usually at a much lower rate. We can have deep philosophical debates about who is most qualified to operate and manage our roads, water systems, airports, etc. However, what we do know about private capital is that it is only going to invest in projects where it can see an economic rationale. When governments can successfully work with investors, both private and public companies, we will have more useful and efficient outcomes. We see more examples of this every day, from the massive expansion of privately owned and operated toll roads in Virginia and Texas, to the coming renovations of LaGuardia Airport. "The clang—bling bling!—is familiar to anyone who lives along the edge of downtown, an otherwise pleasant part of this old Navy port town. The bell signals an arriving train on the Tide, a 7.4-mile light-rail line. Here’s something else you will notice if you hop aboard: The train is seldom carrying more than six passengers. The Tide moves from places you don’t work to areas you don’t wish to visit. It doesn’t stop at the airport or the world’s largest naval base." The next president is likely to face a recession early in his or her term; and the current, status-quo monetary and fiscal policy will ensure that it is a fairly serious recession with an even slower recovery than last time. The fiscal deficit will swell to at least $1.3 trillion and likely more. That will leave little room for fiscal spending and stimulus, and certainly not much for the usual infrastructure spending that is called for. The state of US infrastructure is appalling. It needs at least $3.6 trillion worth of repairs, and that does not even include what we need to do to prepare us for the 21st century. We have dug ourselves a very deep hole of massive failures on infrastructure upkeep, and we are continuing to dig. During Speaker of the House John Boehner’s tenure, one of the annual features was a speech by the speaker in which he would decry the state of our infrastructure, acknowledge that we needed to do something about it, and then once again say that we hadn’t figured out where to get the money. I offer a solution on where to find the money and actually give our children the tools they will need for 21st -century life, not to mention provide multiple millions of jobs and help to more evenly distribute the benefits of globalization and modernization – maybe even help bring back the middle class. I will offer a very brief summary of what we need to do on tax reform and regulatory reform and then note that if we do none of the above but stumble along doing what we have been doing, the investment environment is going to be exceedingly stressful; and pension funds and insurance companies are going to have massive difficulties staying in business, not to mention meeting the needs of tens of millions of retirees. Read or subscribe to his free newsletter. Yet another headline about our decaying water infrastructure, especially in our urban areas. Given that most of our investors are in the Baltimore or Philadelphia area, I find it interesting that these two cities are two of the worst metropolitan areas in terms of decaying water and wastewater infrastructure. The average age of a water main in Baltimore is 75 years. In Philadelphia, half of the water mains were installed before 1930. Some pipes were put in the ground before the Civil War. Learn more about pressing water issues at Circle of Blue. I was reading a blog posting from Josh Brown, sent to me by a friend, that I couldn't help but share. While pretty humorous on the surface, it certainly makes me think about how I discuss my work with those outside of the investment industry. Enjoy! To outsiders, Wall Street is a manic, dangerous and ridiculous republic unto itself – a sort of bizarro world where nothing adds up and common sense is virtually inapplicable. Away from Wall Street, no one believes in any of this stuff. It’s inconceivable. On Wall Street, these are core tenets of our collective philosophy. No wonder everyone else thinks we’re insane. How should an individual investor be thinking about active management? So much research has been done over the past few years supporting the case for low-cost index funds or ETFs over higher cost, actively managed mutual funds. Even most fund managers and financial advisors, if you ask them, will whisper that most of their investments are with Vanguard. However, I think not nearly enough time is spent trying to understand WHY most active mutual funds underperform. I have been spending a lot of time thinking about a paper I recently read by C. Thomas Howard, PhD of the University of Denver, that digs much deeper than the simple assumption most make, which is all about fees. Based on the research of Dr. Howard, and contrary to most public opinion, nearly 90% of active equity fund managers are actually superior stock pickers. (Which definitely makes me feel like my career and those of my friends and peers have not been a total waste.) Investment teams are good at identifying profitable opportunities, and all of the additional research and effort does actually translate into good investment ideas. So why do active managers underperform their benchmarks? Asset bloat - fund performance tends to decline with increased fund size. This is not surprising. As assets grow, it becomes more difficult to limit a fund to just its "best idea" stocks. Closet indexing - it seems obvious, but in order to beat one's benchmark, one needs to actually deviate from it. However, this is not what actually happens. Chief Investment Officers and Portfolio Managers fear losing and underperformance so much, (in behavioral finance-speak, this is called myopic loss aversion), that they are afraid to concentrate their investments in their best ideas. In addition, institutional consultants demand that funds stay in a specific style category, and in order to convey this message, PMs will hug the benchmark. Most likely, someone with low active share and low tracking error is probably just selling you an inefficient index fund at a much higher price. Conviction - while active managers may be good stock pickers, that is not on display in their portfolios. The median fund holds 75 positions (the average fund holds 113), which means that there are nearly 3 times as many stocks in a portfolio that are not "best ideas" as there are their 20 favorite stocks. Investors and funds tend to believe that a huge amount of stocks are needed to generate adequate portfolio diversification, despite academic research to the contrary. Fees and turnover - we all know this part. 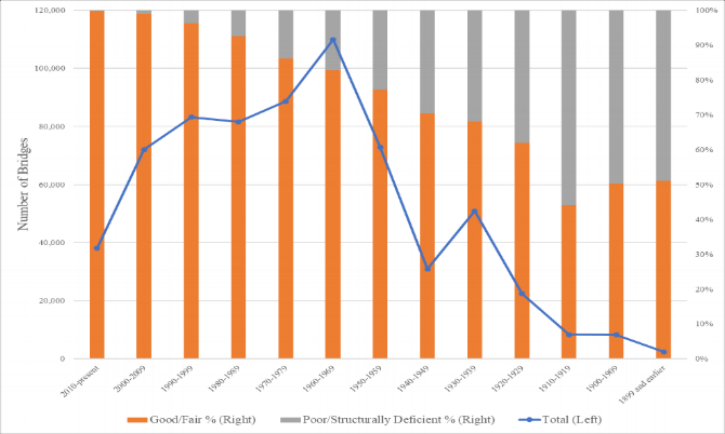 Fees, tax inefficiency, and hidden transaction costs on top of the aforementioned factors contributing to portfolio drag, are other contributing factors to underperformance. Through time, truly active managers, not just those that are calling themselves active, but those that are actually taking high-conviction, long-term positions - outperform their closet-indexing counterparts. Vanguard is great most of the time, but if you believe you have found a manager who can identify long-term trends in a concentrated, tax-efficient manner, a deviation from an exclusively passive strategy may be warranted. Could negative news overseas be a positive for U.S. stock markets? I was having a discussion with one of our largest investors this week, and he brought up a few very insightful questions. Firstly, he was wondering whether I thought the impact of Brexit, and potential European recession, would spread to the U.S., and secondly, how that would impact treasury yields and the overall stock market. While I tend to be in the "muddle along", or "new normal" camp on economic growth in the United States, overall, recent GDP numbers have been okay, and I would not expect a material impact from Europe on the overall economic outlook. But the second discussion is much more tricky. Could capital fleeing from Europe, either because of economic fears, or negative interest rates, actually be a boost to markets in the U.S.? We know that a flight to safety could help keep rates low for a very long time, which would also support higher yielding equities. But it is also quite possible that it continues to push domestic markets up in general. Here is an interesting article I saw this week from Cullen Roche, that argues it could even push us too far. This is a pretty disturbing story from cnn.com about our water systems. Note the particular concerns in the City of Philadelphia. "Experts say Philadelphia is a perfect example of the EPA unwilling to act, and having too cozy a relationship with local regulators. The city has come under scrutiny recently for only testing less than 40 of an estimated 50,000 homes with lead service lines. City officials say that's all they could find after putting out 8,000 requests to residents. Seven homes had high lead levels. After the Flint water crisis, the EPA in February issued new guidance instructing water authorities to stop pre-flushing taps and other practices that were considered "cheating." A class-action lawsuit alleged that Philadelphia "tests an inordinate amount of low risk homes, diluting its testing pool and skewing the results in such a way as to paint a woefully inaccurate picture of the City's overall lead contamination." The director of Philadelphia's water system, Gary Burlingame, said the EPA's language is merely "guidance," so it didn't have to be followed. Burlingame has been required to work with consultants who the EPA has hired on four separate occasions since 2000. The EPA should at least "issue immediate alert to the people in Philadelphia to let people know it is very possible that the results are not reliable and that people should protect themselves," said Yanna Lambrinidou, a Virginia Tech researcher who has been advocating for a change in the city's policy." BREXIT - What does it mean to me and how does it impact infrastructure? There has already been much written about Brexit and its implications for investors. Some of the commentary is thoughtful, other is much less insightful. Rather than recap the events, where there are much better and more eloquent sources than myself, let's talk about what it means for us as investors. One thing we know for sure is that markets hate uncertainty. Global markets had been wobbly going into the vote, and now global markets have had a knee-jerk reaction to the downside. Often, markets will stage a relief rally once a resolution to a situation has occurred, even if we don't like that resolution. However, in this case, the only thing we know for sure is that we have more uncertainty ahead. No one knows exactly how this situation will play out, nor what the exact implications for us as Americans will be. But there are a few things we can feel confident about - the Fed is even more less likely to be raising rates anytime soon, as it does not want to introduce even more volatility in the market. Second, in times of uncertainty, investors flock to safety, meaning investments that have strong visibility, long-dated cash flows, as well as strong yields. We would expect Brexit to provide a tailwind for listed infrastructure investments. The views expressed represent the opinions of Silkworth Capital Partners LLC which are subject to change and are not intended as a forecast or guarantee of future results. Stated information is provided for informational purposes only, and should not be perceived as investment advice or a recommendation for any security. It is derived from proprietary and non-proprietary sources which have not been independently verified for accuracy or completeness. While Silkworth Capital Partners LLC believes the information to be accurate and reliable, we do not claim or have responsibility for its completeness, accuracy, or reliability. Statements of future expectations, estimates, projections, and other forward-looking statements are based on available information and management’s view as of the time of these statements. Accordingly, such statements are inherently speculative as they are based on assumptions which may involve known and unknown risks and uncertainties. Actual results, performance or events may differ materially from those expressed or implied in such statements. Past performance of various investment strategies, sectors, vehicles and indices are not indicative of future results. Investing in infrastructure securities involves risk including to potential loss of principal. Infrastructure equities are subject to risks similar to those associated with the direct ownership of infrastructure assets. Portfolios concentrated in infrastructure securities may experience price volatility and other risks associated with nondiversification. While equities may offer the potential for greater long-term growth than some debt securities, they generally have higher volatility. International investments may involve risk of capital loss from unfavorable fluctuation in currency values, from differences in generally accepted accounting principles, or from economic or political instability in other nations. There is no guarantee that risk can be managed successfully. There are no assurances performance will match or outperform any particular benchmark. Indices are unmanaged and not available for direct investment.